Relax and Have Fun. We've got you covered. 1. Be chauffeured with kayaks to launch upstream, after a hearty breakfast. Kayak downstream into the city. 2. Land at Arcadia Brewing in downtown Kalamazoo. 4. Hang out at Arcadia and be happy; hit some shops on the stroll back to the inn; or wander to more great local breweries. $189 per couple--perfect day for Just you two! Or add two friends for +$60 more (just $249 total for an unforgettable day). Four people max (2 singles/1 tandem) capacity—available all weather May through October. 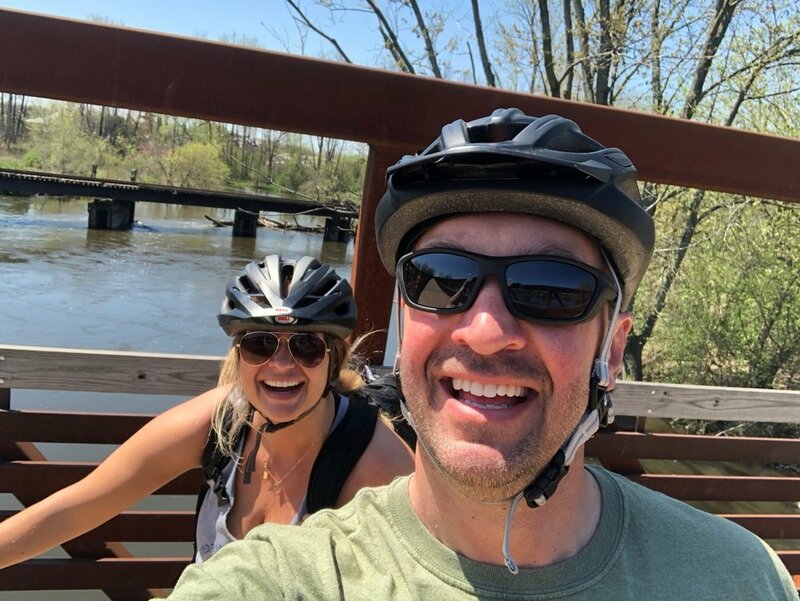 2018 available option: (UBKA) Urban Bike and Kayak Adventure!--our bike-to-kayak launch (all paved trails, all off-street, customizable for beginners to intermediate fitness). Bike the trail from the inn to launch site, boats are ready and waiting! With own bikes $0 upcharge, or rent here (rates). You are effortlessly chauffeured from the inn to a getaway like no other. It just you two, and your two kayaks. (Or one luxury tandem—or all three boats as a great getaway for four!) 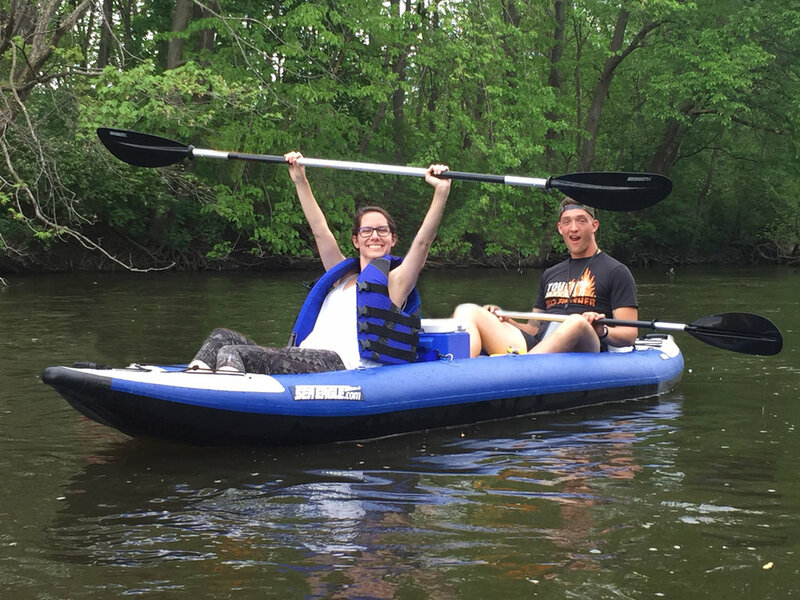 It's a delightful river paddle from the small town of Comstock, to the urban center of Kalamazoo. 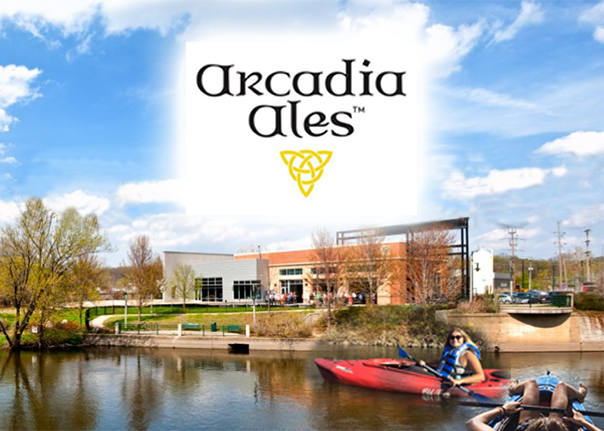 It's quiet, enjoyable time alone on a beautiful river ride, with a transition to urban scenes, and a brewery destination in the city that's as fun as the journey: Arcadia Ales brewery! 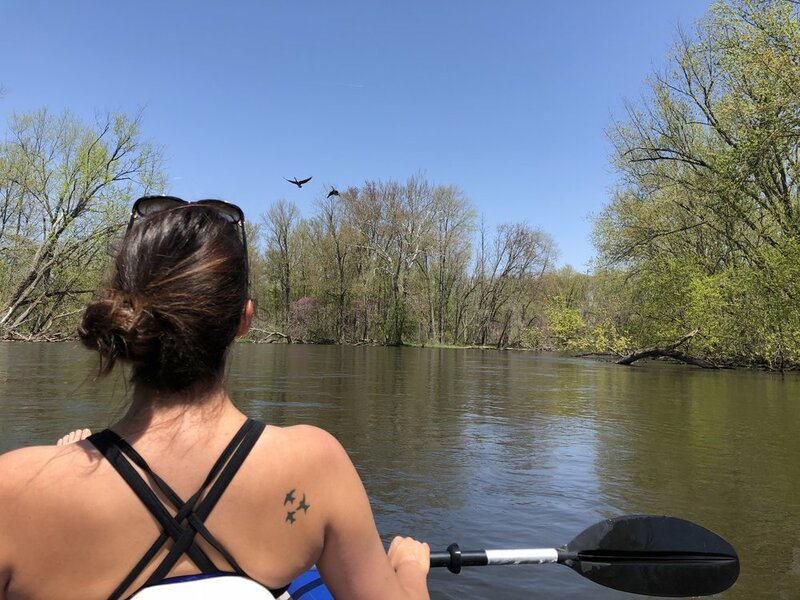 There's no stress of renting or transporting kayaks, and no need to shuffle cars to the end of the float, or break the fun with the stress of loading things up when you're enjoying a cold Arcadia Ale at the end. It's a paddle of just under four miles. Take one hour or three. It's your day, and your choice. There is no pickup appointment to fuss over. Just pull up to the landing at Arcadia Ales in the heart of downtown, lock the boats to a tree with our cable, and forget them; we'll get them later. 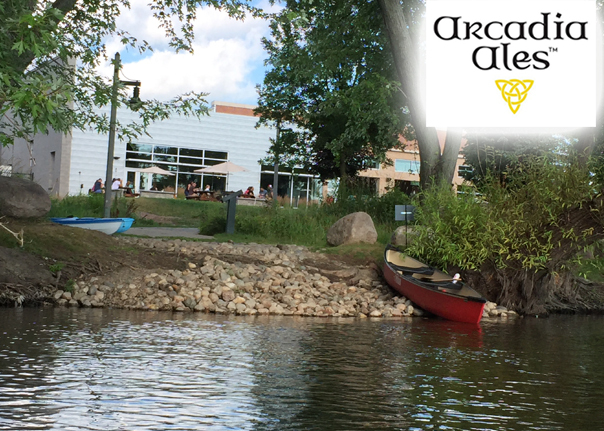 Your job is to go enjoy some outstanding brews and food by the river at Arcadia Ales. Stay a while, walk directly back to the inn (under a half-hour stroll through city), or better yet stop to sample other breweries, shop, or see the sights ... it's your afternoon! Two Options: Beginner/Shorter (Option A), or More Advanced/Longer (Option B). This activity can be cancelled separately from the room, up to one hour before the scheduled time (regular cancellation policy for the room still applies per policies). It's your private event, with a maximum of four participants, using two 1-person kayaks (two people), and a high-end tandem, two-person luxury cruiser--from InflatableKayaker.com.